It is time for Craft Lightning Halloween! 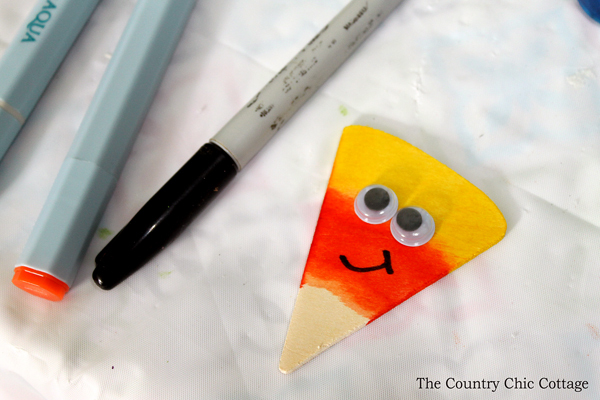 A week of quick and easy Halloween crafts that all take 15 minutes or less. 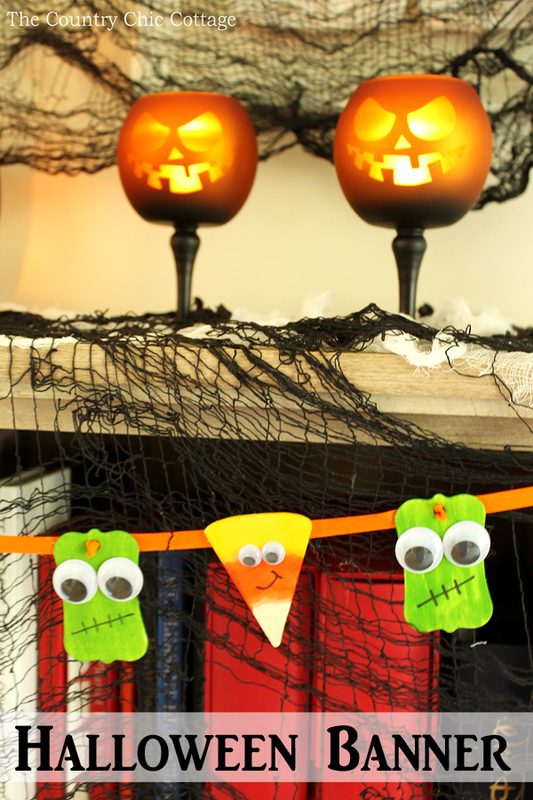 I am going to kick things off with this adorable little Halloween banner. 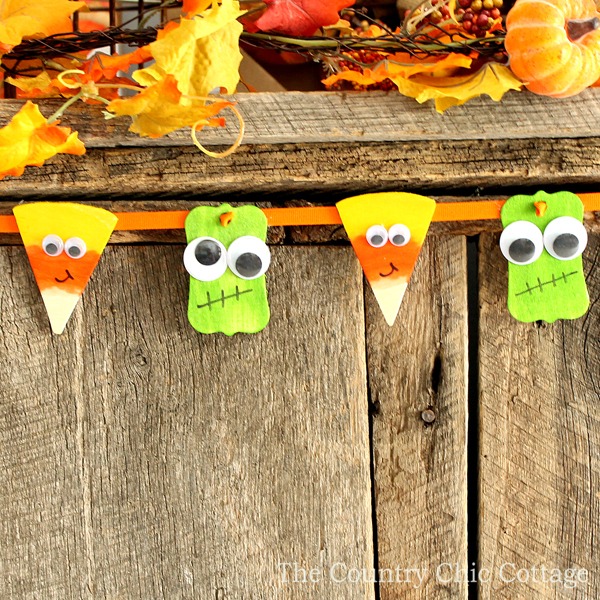 This is one quick and easy craft that is just too cute! Grab your supplies and make your own today. Don’t miss the ideas from our partner blogs for today at the bottom of this post. This post is sponsored by Yankee candle however all projects and opinions are my own. 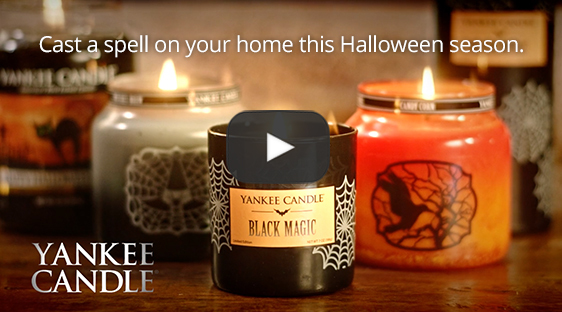 First things first….I love Yankee candles. I was excited for this post because I get to offer y’all a chance to receive a buy 1, get 1 free coupon for any large candle that may redeemed in-store or online! Just click here, watch the video, and get your coupon emailed to you. 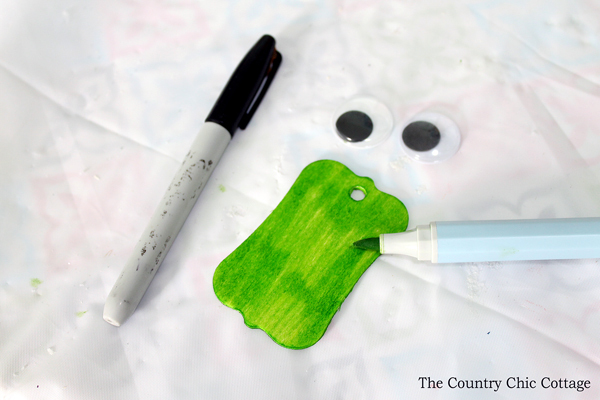 Color the tag with a green marker. Glue on google eyes and draw on mouth with black marker. 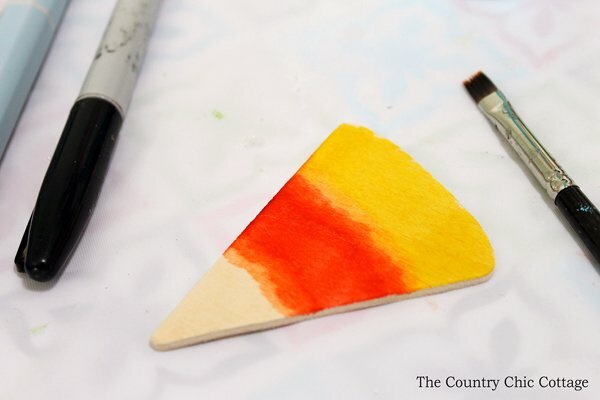 Color the orange and yellow areas of the candy corn with the markers. You can use water to blend between the areas if you have used watercolor markers. 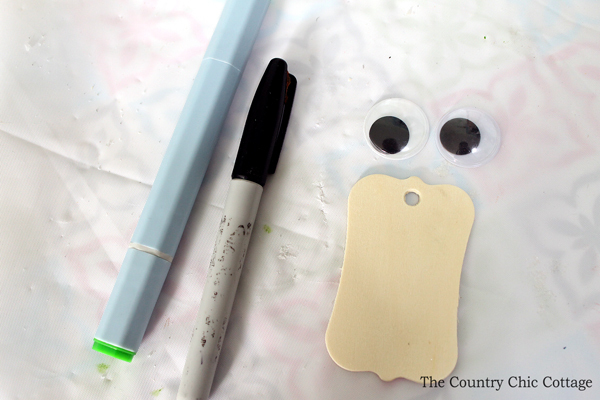 Glue on google eyes and draw on a mouth with the black marker. Now string the entire thing on a piece of ribbon. Use hot glue to secure the pieces to the ribbon. 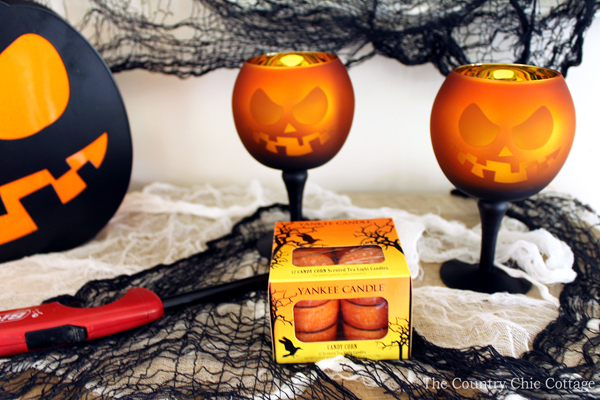 Now if you are interested in the items I received from Yankee candle, they included these great candy corn scented tea light candles. They go great with the Halloween Silhouettes Jack O’ Lantern Pedestals. The other item is the Halloween Silhouettes Jack O’ Lantern Multi. 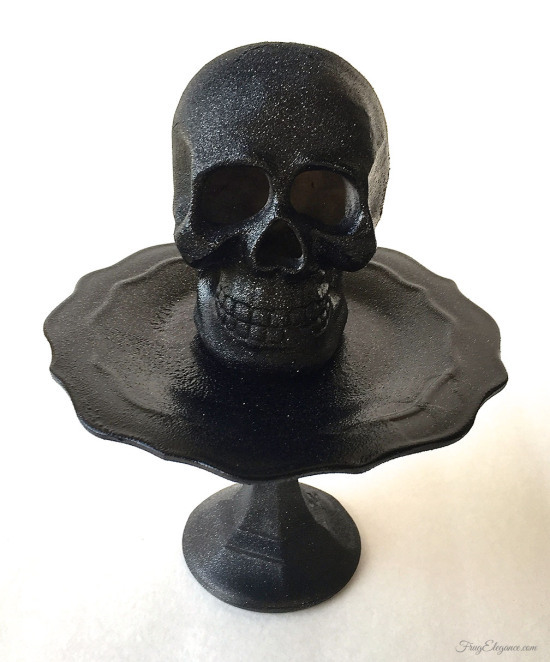 It actually holds four tea lights which makes this a really fun addition to your Halloween decor. 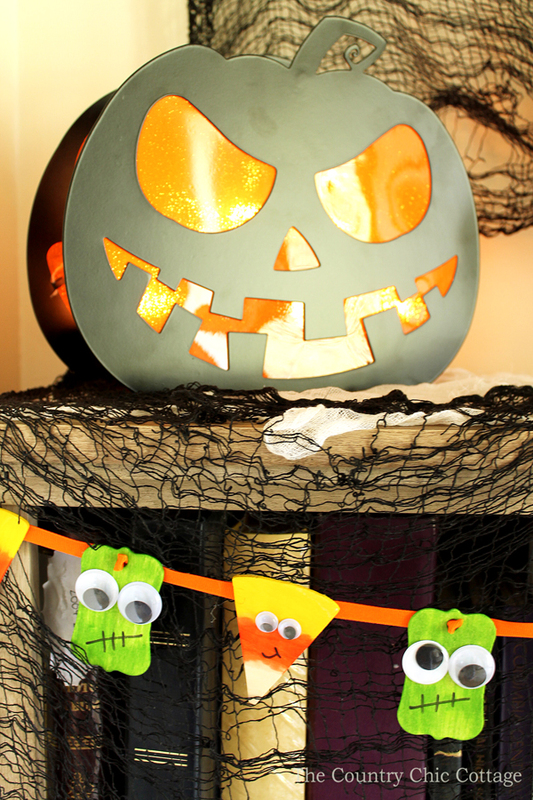 I put everything including the Halloween banner I made above into a vignette in the foyer. Y’all remember to click here and get that buy one get one free Yankee candle coupon. If nothing else it is never too early to start Christmas shopping! 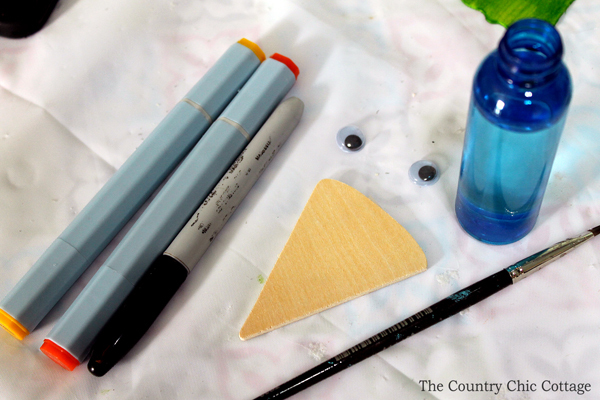 Now it is time for more 15 minute Halloween crafts from our partner blogs. First up is Me and My Inklings with this adorable printable Halloween ugly sweater. What a fun idea to twist the ugly sweater tradition to another holiday! Next is this great light up skull from Frugelegance. 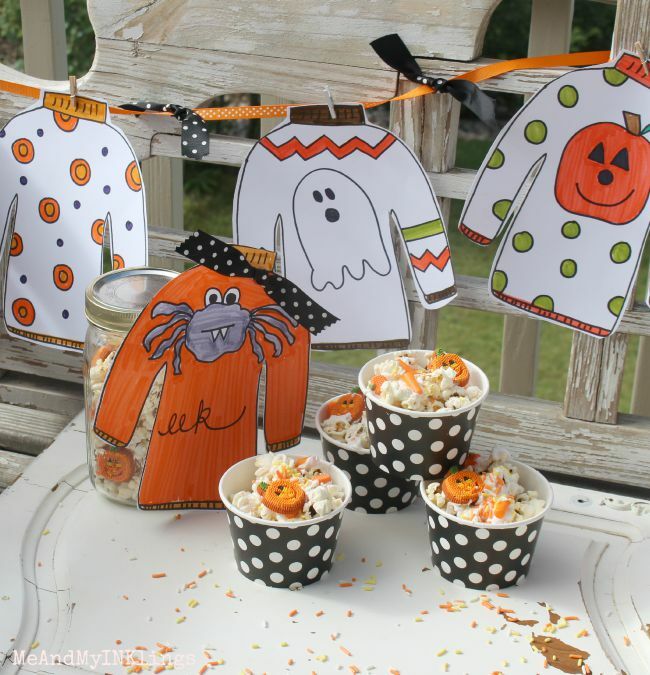 Such a simple idea and this one will look great for a Halloween party. 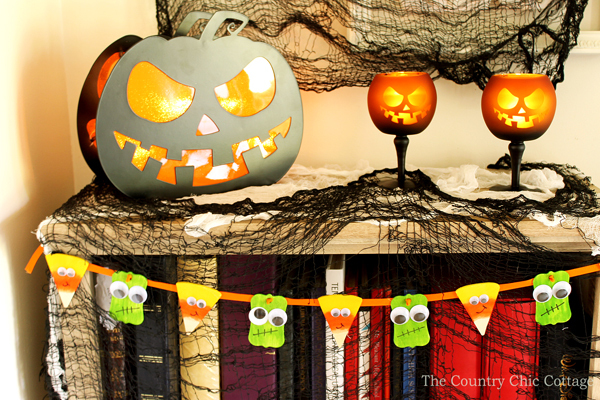 How about decorating your door for Halloween? 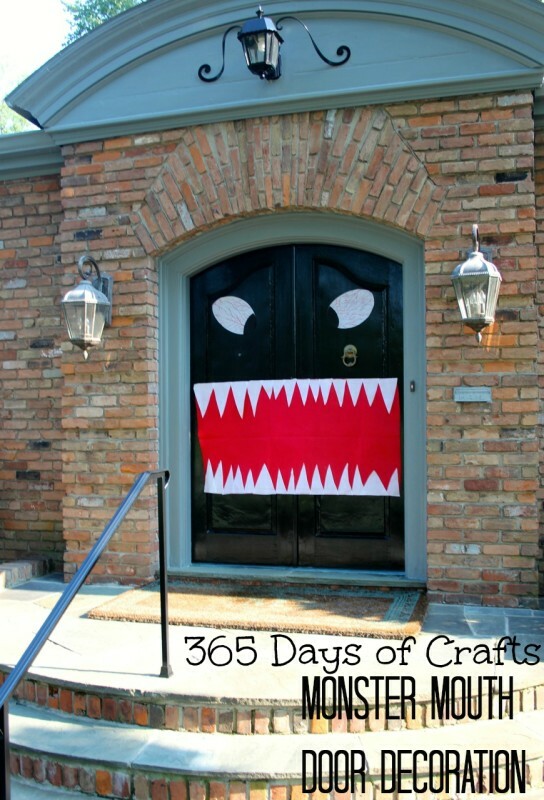 Try this fun door idea from 365 Days of Crafts especially if you have a double door. Don’t throw away those candy wrappers! 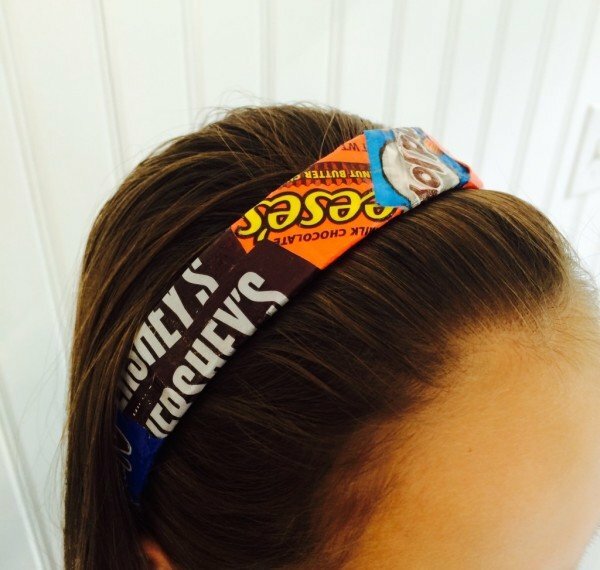 Turn them into a fun headband instead like this one from Lucky Scarf. 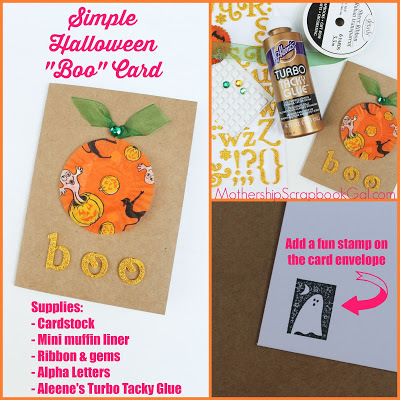 Make a super simple Halloween card quickly with these instructions from Mothership Scrapbook Gal. 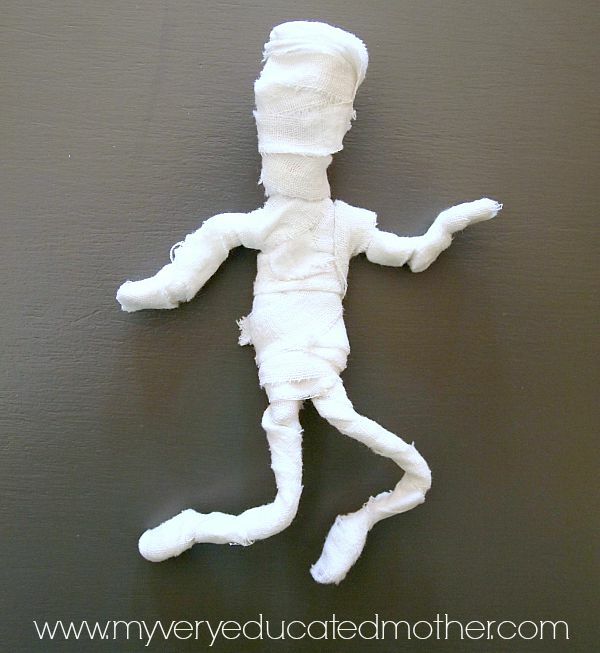 My Very Educated Mother made the cutest little posable mummy! I am in love with this idea! 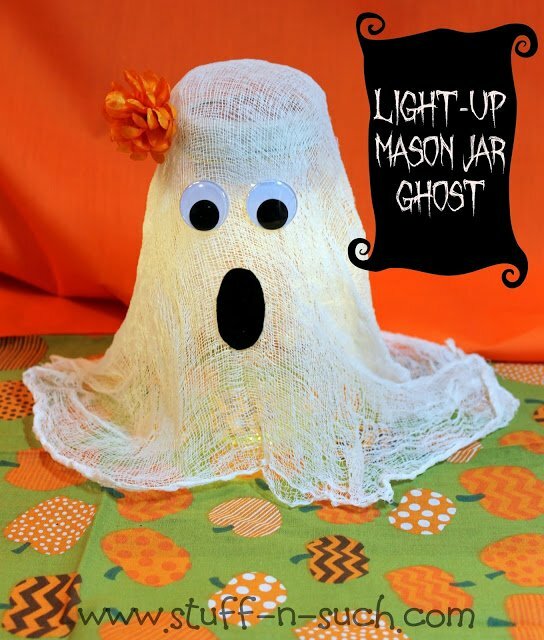 Lisa Stuff n Such is a gift after my own heart with this great light up mason jar ghost. 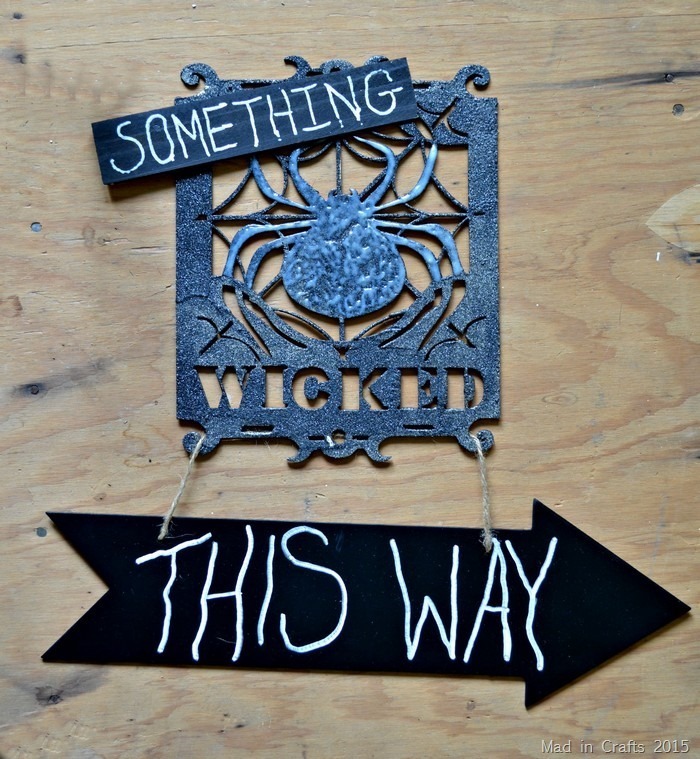 Let Mad in Crafts show you how to make this fun glow in the dark Halloween sign for your home. 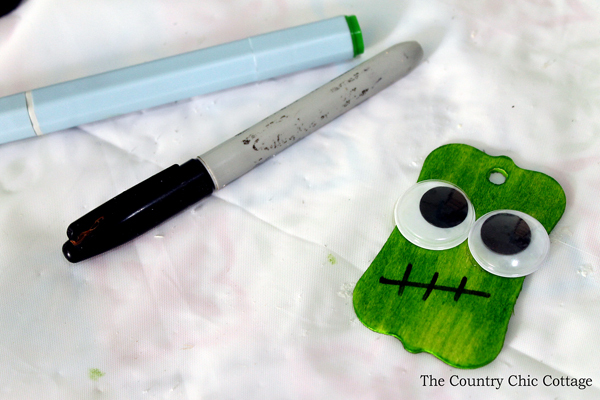 Y’all stay tuned as we have plenty more quick Halloween crafts to show y’all this week! So Much FUN!! I love the idea of coloring on the wood… brilliant!